How to get started as a voiceover artist... (OTHER ACTING JOBS) - B.A.B.E. Recently I have been talking with my mentoring clients a lot about other jobs… But rather than other jobs that aren’t even loosely tied to acting, I am referring more to other jobs that really do still live within the acting realm – corporates, voiceovers, role plays, casting director assistant, the list goes on. So without further ado, today I’ll touch on and expand upon voiceover work. I’ve found it to be the most incredible lifeboat for me personally as an actor. Not only does it provide me with additional income during the quiet times, but it also helped me much of last year when I was pregnant. Turns out a lot of pregnant roles are just sorted with a fake belly nowadays. Who knew! ha ha. So I didn’t have much luck with [acting] work last year with my baby bump. And that meant that voiceovers were literally my life support. I could still be a working actor, rather than be on the streets, desolate. Insert sob voice. *NOTE: I did have some ‘other other‘ jobs as well. If you didn’t catch my very honest post about that, you can read all it here – In the interests of transparency. This post was a biggie for me. And I received a lot of responses from other actors, writers and industry folk who thanked me for sharing the honest side of our profession – the times when we aren’t earning and need to survive. One great way to earn money as an actor is by doing Voiceovers (VOs). I have heard of artists who could buy houses because they earned so much from voiceovers. Now while I don’t generate anywhere near this kind of income from VO work, I certainly do find it a wonderful way to help pay the rent and it’s really fun. Sometimes you even get to be a character. So if you are keen to get started on becoming a voiceover artist, what exactly do you need to do? Here I provide an outline on a few things to consider, from the voice reel (which you absolutely must have) to finding an agent and getting work, and even eventually setting up your own studio. Before you do anything, you will need to get a voicereel (voice-reel or voice reel…so many spelling options) together as most voiceover agents won’t consider you without one. It’s not like acting where you can build up a profile by doing unpaid work and then build a showreel. With a voicereel, they want to hear an example of your voice before they book you. Pretty much all voiceover work is paid (as acting should be in a perfect world). So if you are going to be paid for every job you do, they can’t take a chance on you without hearing what you sound like first. Think of it like you getting a professional headshot before you are paid for your first acting role. They aren’t going to hire you without seeing your image. I love Soho Voices and their company offers voicereels for artists, starting as low as £99. They have all different packages depending on your needs, and they’re great at helping you get the right script for your particular voice and style. Plus they’re a ridiculously awesome agent! I also recommend having a look at Kirsty at Sounds Wilde. She has helped a bunch of my mates create really great professional reels and all of them are now represented by a voiceover agent. Kirsty has examples on her website of other reels, and you’ll be able to hear voicereels for film and television actors and actresses. 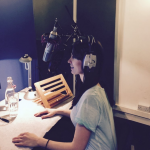 Voiceover artists can do a range of things from corporates, ADR, commercials, audio books, television, radio plays, phone demos, dubbing and more. So when you are starting out it’s a good idea to ask what you are going to get. If you are getting just one reel done initially, then ensure that it has both your corporate and your commercial voice covered so the client can hear a variety. Ask what is included in the package. Spend at least a few hours before your session listening to other voiceover artists reels, so you hear what you like and what you don’t like. Keep a link to your three favourites so you can share them with the voicereel company who is helping you. It’s important you know what you want so you don’t waste your money, or their time. Finally, listen to adverts on YouTube or television and see which voices and styles would work for you. Maybe you aren’t suited to a beer commercial, but you’d be great as the voice of Tourism for Great Britain. Perhaps you can’t do accents, but you’re great at reading scripts perfectly the first time (which means you would nail audio books!) or you have a great voice for story telling (BBC radio dramas). Start by contacting voice over agents who don’t have anyone who sounds like you. This might seem silly but it’s not. If there’s another guy who also has a velvety deep RP voice, they’re probably going to say they don’t need you right now because there just may not be enough work to warrant having two of you on their books. VO work is different to acting and you don’t necessarily need more than one type in each category of voice types. Make a list of voiceover agents, and send specific targeted individual emails to them one at a time, attaching a snippet of your new voicereel (or the whole thing if it’s small). Keep that list on file and update it each time you reach out to the agents again. A no is not a permanent no. It’s simply a no for now. One of my friends didn’t hear anything twice from a particular agent and then one day they said yes. Now they book loads of work through them. It’s worth coming back and saying hi again in 3-6 months (just like you would a casting director). The Voice Cafe: They’ve been my accent coach on and off for years as and when I’ve needed help for American parts or specific British dialects. They also have an online cafe that you can subscribe to and access at your own leisure from any smartphone device or laptop. Great for the proactive actor who sets time aside to work on their craft each week (shouldn’t we all be doing that!). All lessons are offered via skype, making them a lot cheaper than meeting a coach in person. Find out more here. The lovely Nicola Redman: Nicola is a voiceover force to be reckoned with and also offers voice coaching sessions. She’s taught for the likes of RADA, The Actors Guild, East 15 and Arts Ed to name a few, and she has the cutest northern (maybe Irish) accent. You can also do skype lessons with Nicola. Find out more here. I have one (take a peak at mine for ideas on building yours) and it means that when clients contact me to enquire about my previous experience, I can quickly show them my Voiceover page. It also means I show up in google as I try to get people to hire me as an Australian voice (USPs and all that). Not many people do this so I’m letting you into a really cool secret. Create a one pager (almost like a an old school model comp card) and have it on the ready if ever you need to show someone. Maybe the people at the company are busy and won’t have time to click on your reel and listen. Or maybe they have heard your reel already and just need some actual examples to include in their pitch to the client. Have a one page PDF on the ready with all the brands you’ve worked with once you’ve built up a list. 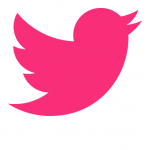 In the early days especially, every time you do a very cool voiceover job, send a tweet out about the job. Always check with your agent first but if they approve, include the client’s name, as well as tagging your VO agent (ALWAYS check this with your agent first to see what their social media policy is). Want to know more before you boldly jump in? 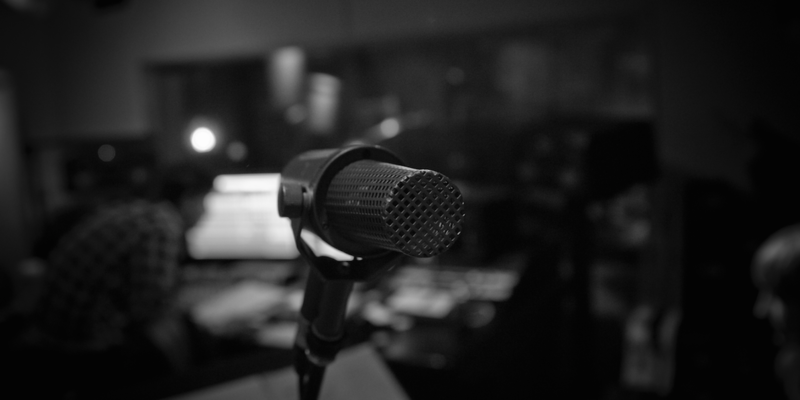 Why not read my excellent buddy and experienced voiceover artist/coach’s Felicity Jurd’s post on starting out in voiceover land: FINDING YOUR VOICE. I won’t profess to be an expert on this but I do have a studio. I started with the small investment of a professional sound mic, the Scarlett USB audio interface, a stand and pop shield, as well as downloading Audacity for free to edit it all, and it has served me well – both for doing professional voiceovers from home, and more recently with starting podcasts which will be out soon (yay). THE STUDIO: The space where you set up your studio is just as important as the kit itself. While you don’t need to soundproof your house completely, you do need a room that won’t have lots of reflective surfaces, causing your voice to bounce in all directions. There are a load of things people do to avoid this, including the old duvet over the head. But lets face it, if you are planning on doing more voiceovers from home, you can hardly live under a duvet. But you can do some simple things to ensure the room is a dead as possible for sound. So by now you should be ready to get started. Once you have your reel sorted, you can apply to agents, and hopefully you’ll be doing voiceovers in no time. You can also go to online websites like Voices Pro or Voices123 and register for work directly. But it’s advisable that you have a few practise goes at recording dummy voiceover jobs first, and editing and uploading them, so you can ensure you can deliver the job in full BEFORE you get your first voiceover role to do in your studio at home. Editing voiceovers at home will take a little getting used to as when you’re in a studio they’ll remove all the breaths and unnecessary sounds out of your audio piece for you. It is a little bit fiddly getting used to doing this yourself when you get started at home, unless you’re already familiar with editing software. So take it one easy step at a time. Good luck. And if you ever get stuck or want more information, don’t hesitate to drop me a comment on the B.A.B.E. Facebook page or via email. *Any affiliate links contained on the actingbabe pages will NEVER cost you more money. But they’ll help pay to keep B.A.B.E. up and running. We only endorse products and services we love and swear by! Feel free to email us if you ever have questions. **www.actingbabe.com is a participant in the Amazon Services LLC Associates Program, an affiliate advertising program designed to provide a means for sites to earn advertising fees by advertising and linking to www.actingbabe.com (amazon.com, or endless.com, MYHABIT.com, SmallParts.com, or AmazonWireless.com).